Optoma ZH510T-B Projector 1080p (1920x1080), Black Chassis, Laser Light Engine, 5400 center Lumens, 5000 ANSI Lumens, 300,000:1 contrast (extreme black enabled), 1.8X Zoom, H and V Lens shift, H and V Keystone, 4 Corner adjustment, 3x HDMI, 2x support (MHL), VGA In/Out, Wired remote, 24lbs, Warranty: 3 year or 20,000 hour light source warranty (whichever comes first), with 3-year Optoma Express advance exchange warranty on the projector. Laser phosphor light source provides an estimated 20,000+ hours of light source expectancy. 360° and portrait mode operation. 4 corner correction for basic stacking. H/V lens shift and keystone. Maintenance free - no filters needed. Built-in HDBaseT. 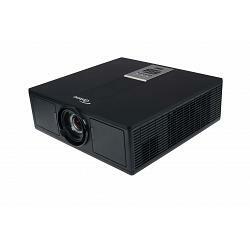 The ZH510T-B is a laser phosphor ProAV projector offering bright and vivid image quality, advanced optical components and a lightweight, compact size. The ZH510T-B touts an IP5X-certified, dust-resistant optical engine and a laser phosphor light source featuring 20,000+ hours of virtually maintenance-free operation with no need for lamp or filter changes. The ZH510T-B 5400 lumens create vibrant, detailed images, filling a significant need in the mid-range ProAV category. Developed for maximum flexibility, this solid-state laser projector includes a fixed lens with horizontal and vertical lens shift, offering a unique 1.2-2.13 throw ratio and a digital zoom ratio of 1.8x, enabling it to cover a range of interchangeable lens capabilities and eliminating the need to change lenses or buy additional ones. It also features HDBaseT, allowing users to easily send and display audio and video files with a single cable. The ZH510T-B streamlines integration with two built-in 10W speakers and a variety of inputs, including three HDMI ports and 2x built-in MHL. 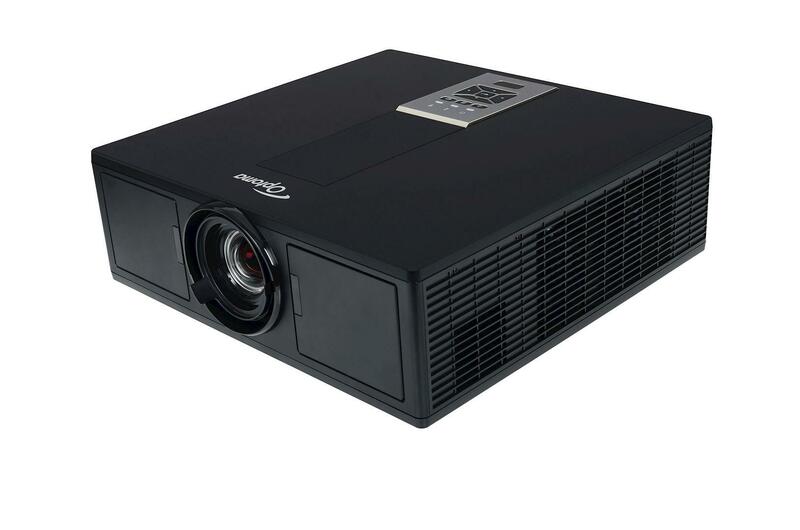 This fixed installation projector is a reliable, flexible and cost-efficient option, perfect for boardrooms, university auditoriums, museums and other mid-sized venues. Lamp Warranty: Up to 20,000 hours! Order in the next 47:03:10 Hours to Ship Monday Place your order by 3:30 PM Monday and your order will ship the same day. For further details and delivery estimates check our shipping page. Remember to select the desired service level needed in your cart. All orders are subject to verification. International orders are processed the next shipping day.